After graduating from a specialized high school in 1987, Pete Rodriguez was “exhausted from school,” and, having come from a poor family, the only option was to work—and work he did. Rodriguez took any job that came his way, including working as a painter, a messenger, and a sales clerk. He felt like he hit the jackpot when he landed a temporary job at State Street Bank’s New York office as a microfilm clerk, a repetitive, mundane job that no longer exists, but it was a foot in the door and it would change the course of his life. Rodriguez is now a managing director and the chief administrative officer for the asset servicing business at BNY Mellon. Rodriguez says his role with the largest trust bank in the world, measured by assets under custody and administration, wouldn’t have happened if it weren’t for that first break and a coworker who saw something in him he didn’t see in himself. Rodriguez was eventually hired by State Street Bank permanently, and in 1989, one year after joining the bank, there was an opening for an accounting clerk. Rodriguez was offered the job, despite having no accounting experience and no college degree. “They were willing to look past that because I was so good with numbers,” he says. “Plus, I’d been managing my family’s finances since the age of 15.” The bank saw Rodriguez’s talent, passion, and drive, and offered to pay for his college education, so back to school he went, working at State Street during the day and attending classes at night. “I was a poor kid from Brooklyn and, honestly, if that offer didn’t come my way, chances are I would have never been able to afford college,” Rodriguez says. “I learned early on that I had to make the most of every opportunity.” Rodriguez would stay with the bank for nearly 10 years, and in that time he became the first college graduate and professional in his family, in addition to ultimately working his way up from microfilm clerk to management accountant. Rodriguez’s next major role was that of budget analyst for Lincoln Medical & Mental Health Center, a Level I Trauma center operated by the NYC Health & Hospitals Corporation. He says it didn’t take him long to realize that accepting the role had been a mistake, so he moved to Chase Manhattan Bank in 1998, which later became JPMorgan Chase. Once again starting as a temp, Rodriguez’s initial role with the bank was as portfolio accountant, and he was hired on permanently about a year later. Again, Rodriguez just wanted a foot in the door so that he could eventually turn the opportunity into something bigger and better, and a year later, he did. While at JPMorgan Chase, there was an opening for a securities lending controller, and though Rodriguez didn’t have all of the qualifications required, he took a shot and applied anyhow—and got the job. “Taking the risk of applying for that job was a turning point for me, because I knew if I attained the position, it would give me the experience I needed to get more senior finance roles in the future,” Rodriguez says. In 2003, Rodriguez was promoted by JPMorgan Chase to vice president and CFO for the entire financing & markets products business, which would prove to be the most challenging part of his career up until this point. “I can truly say that this role really required that I stretch, but I learned so much and it truly prepared me for everything I do now—not to mention the fact that while in this role, I made the connection that would help me land the position of securities lending CFO at BNY Mellon,” Rodriguez says. 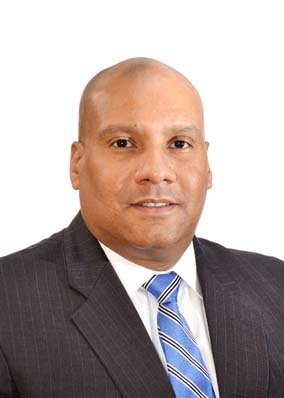 From 2009 to 2012, Rodriguez served as BNY Mellon’s chief of staff for the firm’s asset servicing CFO, which because of the way the group was structured, also made him the head of financial planning and analysis. Essentially, Rodriguez performed all of the CFO functions behind the scenes, but more importantly, it gave him the opportunity to support a vice chairman directly. “Access is important because that is how senior management gets to see what you can do,” Rodriguez says. “As I always say, every position is an audition for your next position, and in this position I learned how to manage large global teams and was appointed to BNY Mellon’s finance operating committee. When the CFO moved on to run a business, I was well positioned to get the role.” In 2012, Rodriguez was appointed CFO for asset servicing.